Wedding stationery set with a blue-green mountain theme. 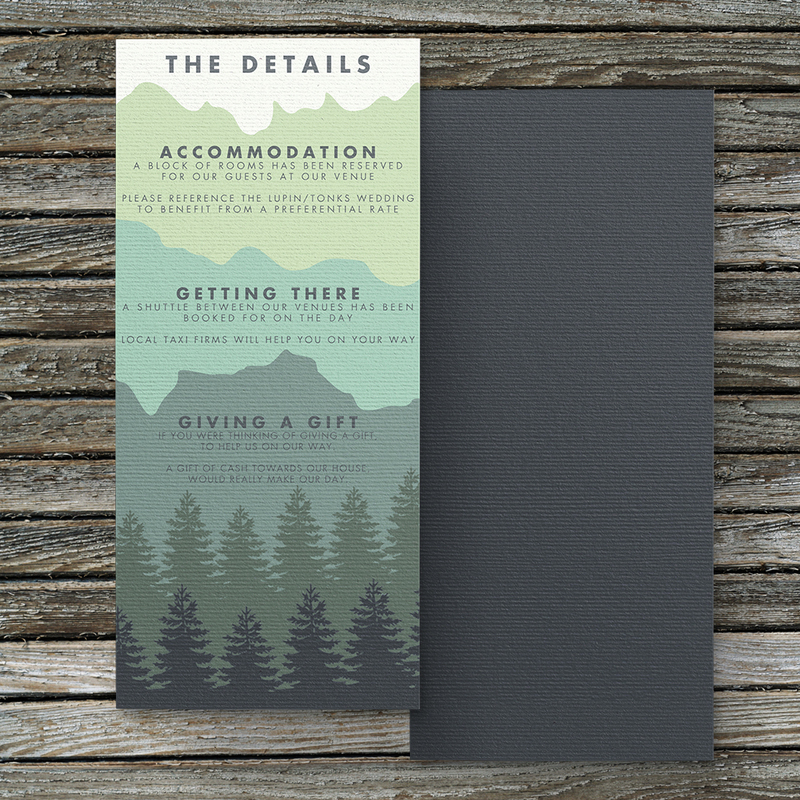 A modern take on invitations to a rustic mountain wedding. Inspired by a trip to the White Mountains in New Hampshire, the set features a view of a stunning mountain backdrop in beautiful tones of blue and green. These invites are the perfect jumping off point for the greatest adventure of your lives together! This set is beautifully printed on 280gsm fine nettuno art cardstock.